Scott Guidry is Assistant Professor of High Brass and Director of Bands at Bemidji State University. 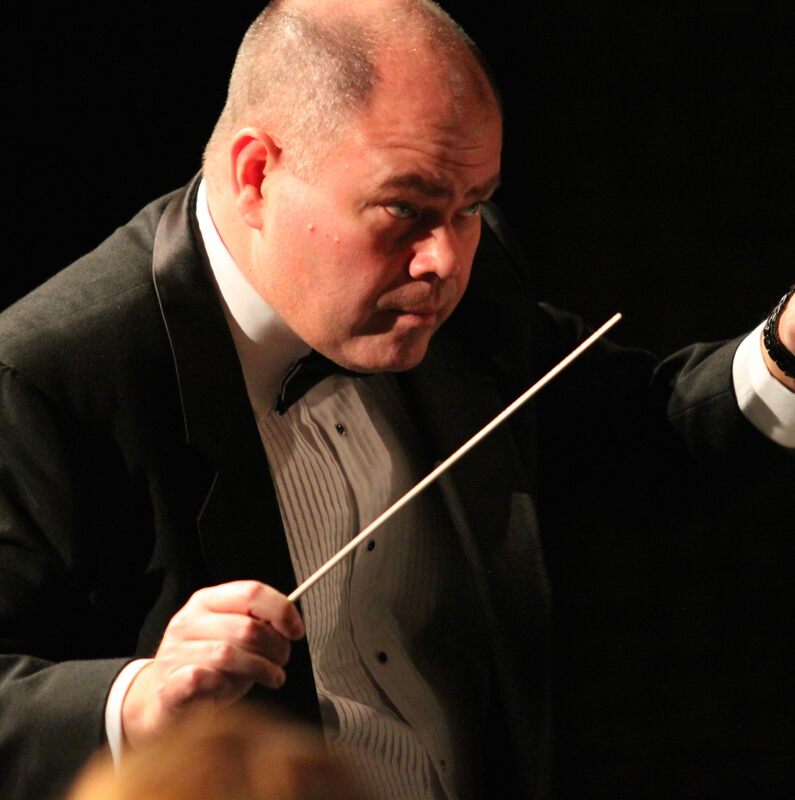 He holds a Bachelor of Music Education degree from Loyola University in New Orleans, Louisiana, and a Master of Arts degree in Instrumental Conducting from George Mason University in Fairfax, Virginia. His primary conducting teachers include Dr. Joseph Hebert and Prof. Anthony Maiello. Professor Guidry conducts the BSU Wind Ensemble, Jazz Band, and Symphonic Band. He teaches Trumpet and Horn, Basic and Instrumental Conducting, Instrumental Studies, Instrumental Arranging, Topics in Symphonic Literature, and supervises instrumental student teachers. He hosts an annual high school honor band, jazz festival, and conducts the BSU spring opera. He is Minnesota state chair of the College Band Directors National Association, and teaches trumpet regularly at the International Music Camp, where he is a member of the International Brass Quintet. Prior to joining the BSU faculty, he served a 20-year Air Force career, and was most recently the Director of Operations for The United States Air Force Band in Washington, D.C. Additionally, he was the officer in charge of the Ceremonial Brass and Airmen of Note. Before joining the Air Force, he was Director of Bands at Carencro High School and Lafayette High School in Louisiana, earning numerous superior ratings at the district and state levels. Additionally, he was co-conductor of the Lafayette Concert Band and named Director Emeritus in 1993. A native of Carencro, Louisiana, Professor Guidry joined the Air Force in 1993. During his tenure in the Air Force, he performed with a broad range of talented guest artists, to include Kim Nazarian of New York Voices, Canadian Brass alumni Ronald Romm and Fred Mills, Keiko Matsui, Helen Reddy, Crystal Gayle, Wilford Brimley and The Platters. He led performances with the Air Force Strings featuring viola virtuosi Atar Arad, Marcus Thompson, Nokuthula Ngwenyama, Robert Verebes, and Patricia McCarty. Professor Guidry has presented master classes, clinics and performances with high school ensembles representing the states of Louisiana, New York, Illinois, Georgia, Virginia, Tennessee, Minnesota, North Dakota and Florida. Professor Guidry’s military career highlights include performances throughout the United States, Europe and Western Asia, including Russia, Finland, Germany, Italy, Poland, Turkey, France, Belgium, Luxembourg, the Netherlands, Slovenia, Portugal, Czech Republic, Ireland, Bulgaria, Romania, Iraq, Kuwait, United Arab Emirates, Qatar and Afghanistan. In 2010, he deployed to SW Asia and was leader of the US Air Forces Central Command Band, enhancing morale of U. S. and Allied Forces and supporting embassies throughout the theater. Maestro Guidry has led ceremonies at the White House and Joint Base Andrews honoring the arrivals of heads of state of France, Canada, Germany, South Korea, China and the United Kingdom and has performed in notable venues such as the Neues Gewandhaus Leipzig. As leader of the U.S. Air Forces in Europe Band, Professor Guidry led a jazz band tour of Western Siberia, celebrating 10 years of the U.S. Consulate in Yekaterinburg, and led a ceremonial band in Sofia, Bulgaria commemorating 100 years of diplomatic relations between the U.S. and Bulgaria. His diplomatic efforts continued at The USAF Band in Washington, D.C., as he was the principal planner and host for international exchanges with military conductors representing the African Republics of Ghana and Benin. Additionally, he arranged a joint performance featuring The USAF Band and a visiting contingent of the Royal New Zealand Air Force Band, vividly illustrating the benefits of allies working together for a common purpose.